This is the junction of the R162 and the L3406. 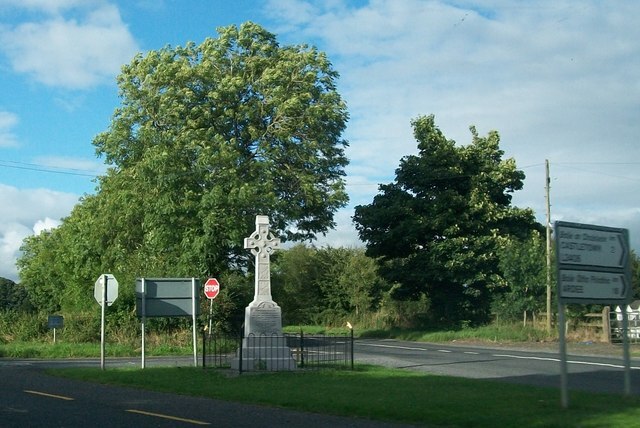 The Celtic cross is a memorial to the United Irishmen killed in the Battle of Knightstown bog on July 14th 1798. This was the last battle of the unsuccessful rebellion which united Catholic laymen and Protestant Dissenters in the pursuit of removing English control from Ireland. The monument was erected in 1952.